Which cool tricks would you show? Did you know that you can make 56 different combos on the Ultim Elite with the Aerowall?! 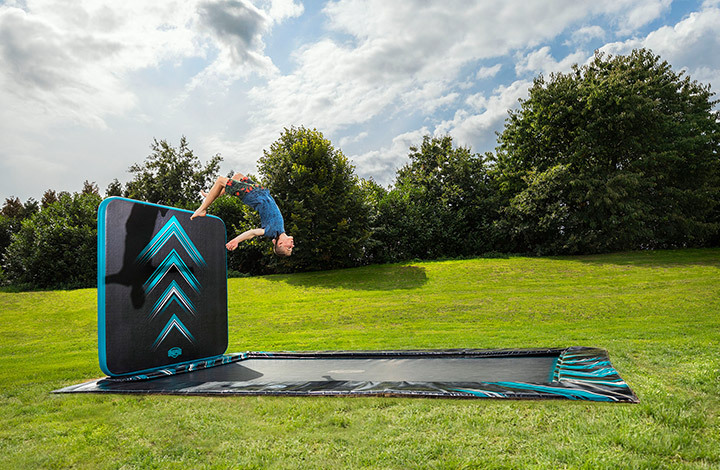 Tap the wall with your hands, push off for a backflip, or walk against it and land on your back. 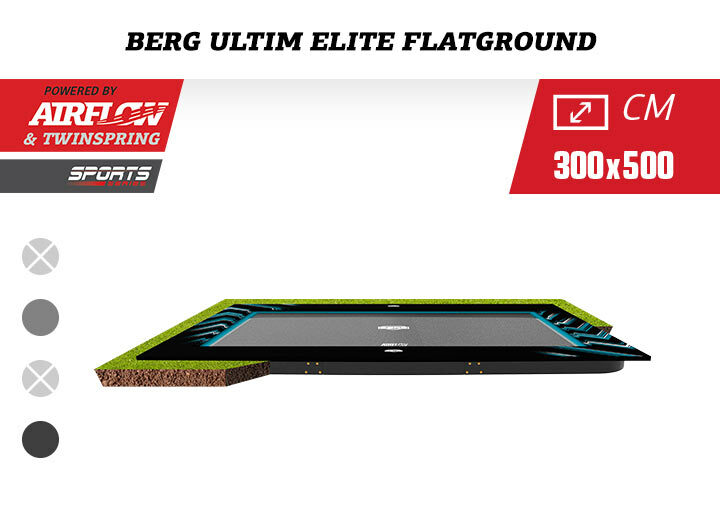 Now you can go freestyle on the BERG Ultim Elite with Aerowall. 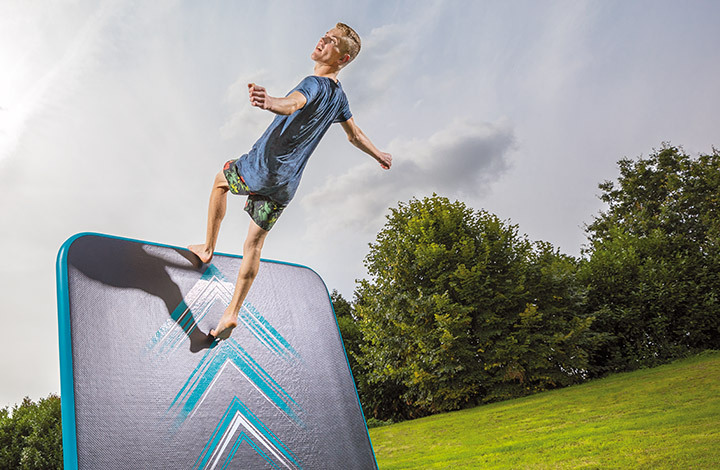 This jumping cloth is 50% more air-permeable than a standard jumping cloth. 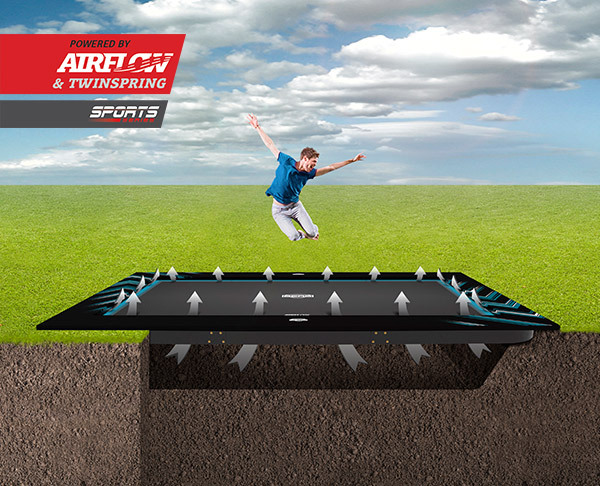 This ensures less (air) resistance during jumping, which makes you jump higher. The slanted TwinSpring Gold springs ensure a larger jumping surface. 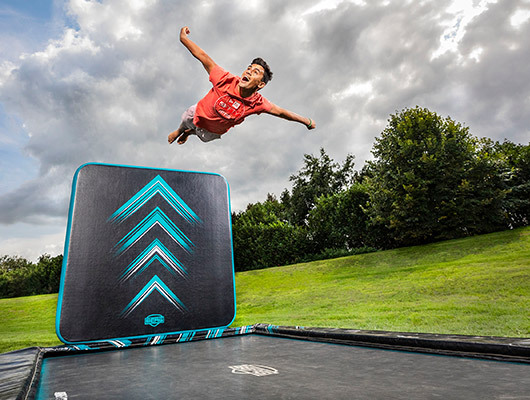 This way you can also jump nice and light on the sides of the trampoline cloth! The Wall is easy to install and remove. 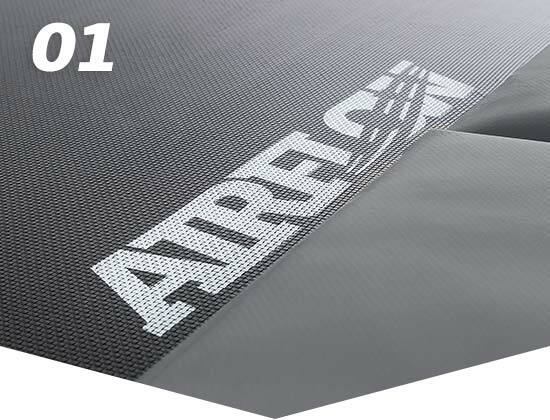 Our patented 'Drop Stich Technology' ensures that the jumping surface of the AeroWall is always super tight. 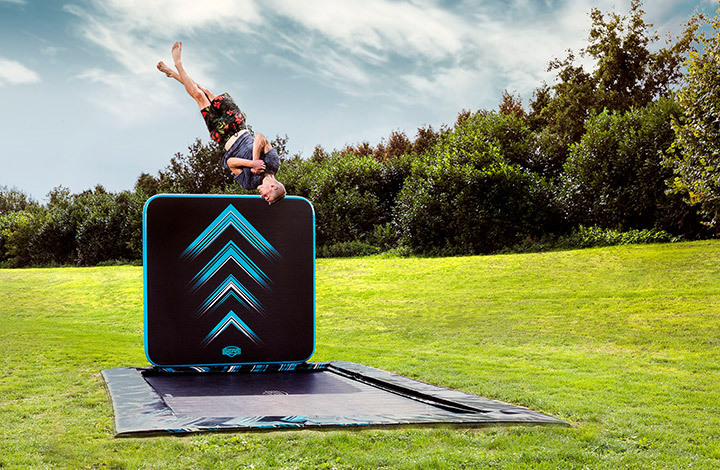 Like the Olympic trampolines, this Ultim Elite has a rectangular shape. 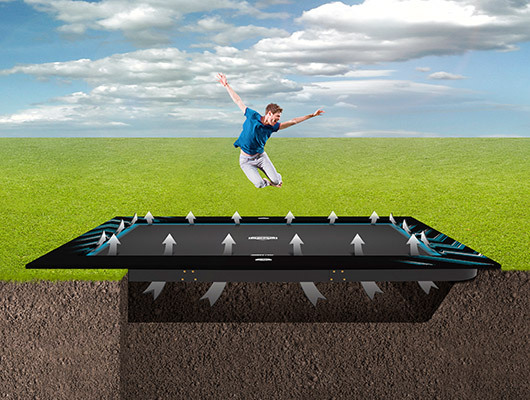 This ensures that you can jump super fine over the entire length and width. 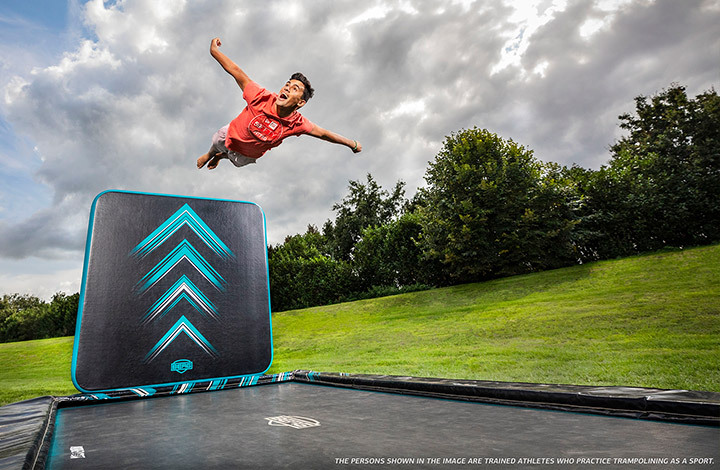 Like the Olympic trampolines, the Ultim Elite is rectangular in shape. This makes for great jumping over the entire length and width. Children who are a little older in age jump with ease over the entire jumping surface. 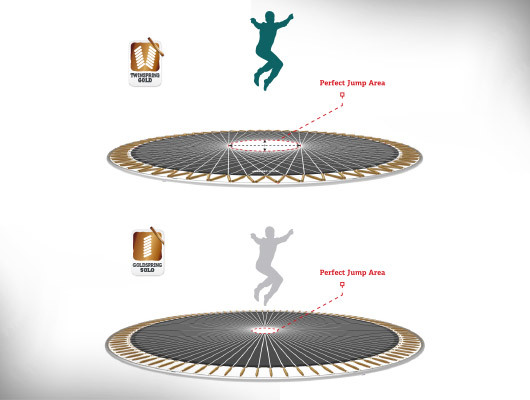 On a rectangular trampoline you also have more control over the jumps you make. 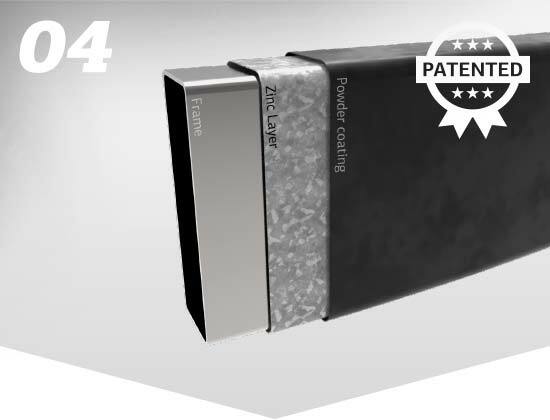 This foam layer consists of the water-repellent 'closed cell foam'. The foam in the Elite protective edge is surrounded by a thick, weather-resistant outer layer of reinforced PVC. 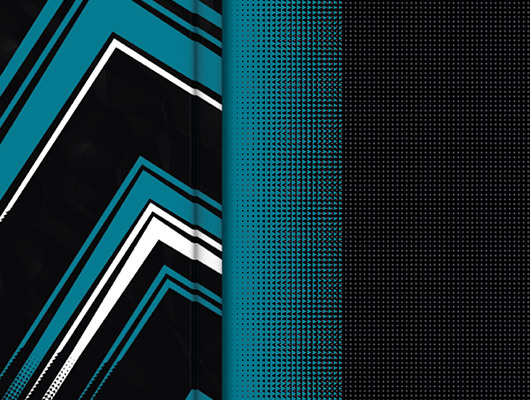 The Elite has a very solid and long lasting protective padding. 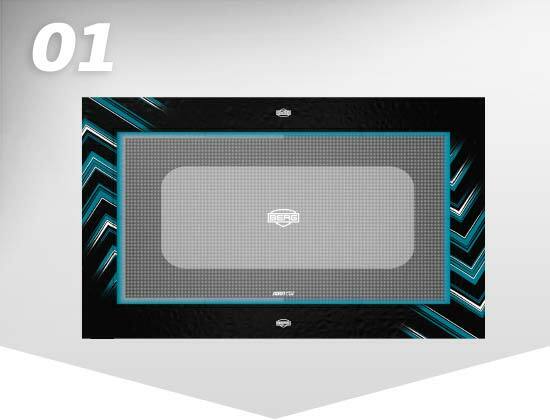 The padding is recognized as being the best in the market. 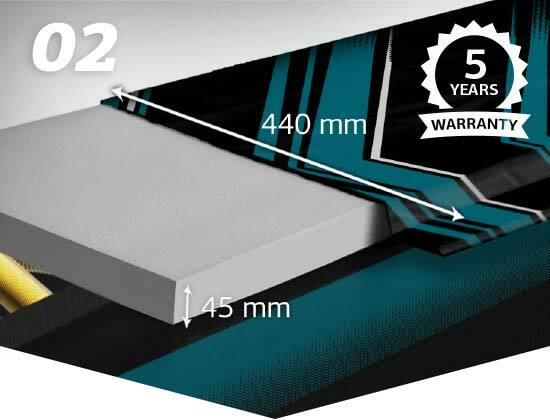 The Elite padding contains a thick layer of foam over its entire circumference. 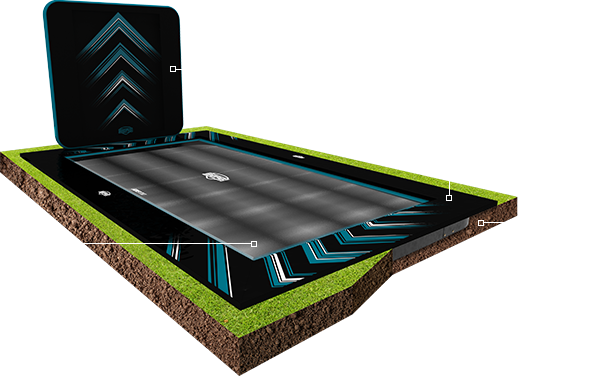 The padding consists of a “closed cell” foam that is water repellant. 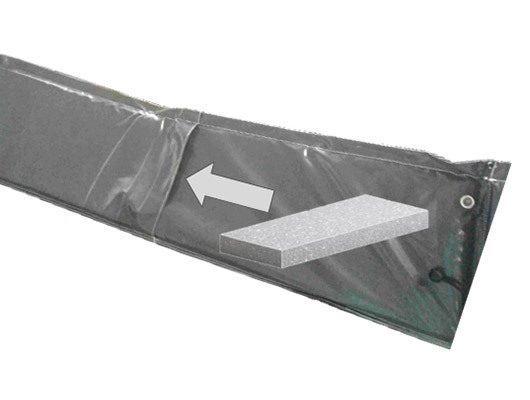 The foam inside the padding is surrounded by a thick, weather resistant, reinforced outer PVC layer. 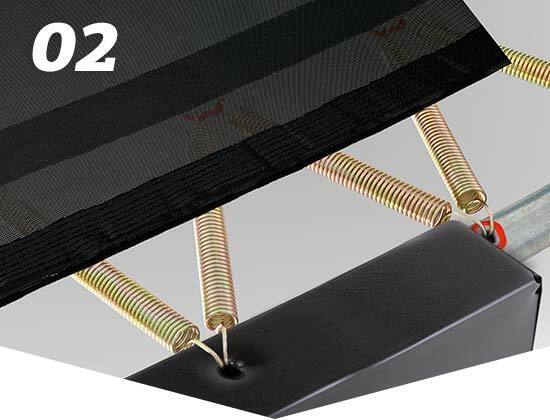 The padding is wide ensuring full, protective coverage over the springs. The gapless protective edge consists of one continuous piece of foam. This ensures complete protection of the springs and the frame. The gapless protective edge consists of one continuous piece of foam. 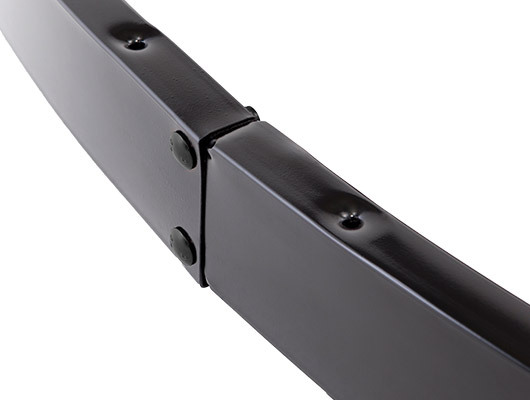 This ensures extra safety for the jumper and complete protection from the springs and frame. 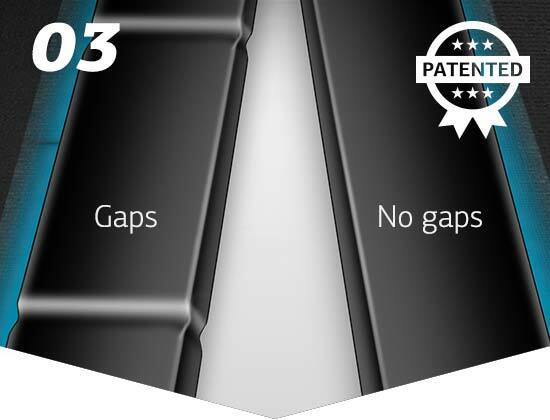 The gapless protective edge is made of the strongest and most attractive material on the market. 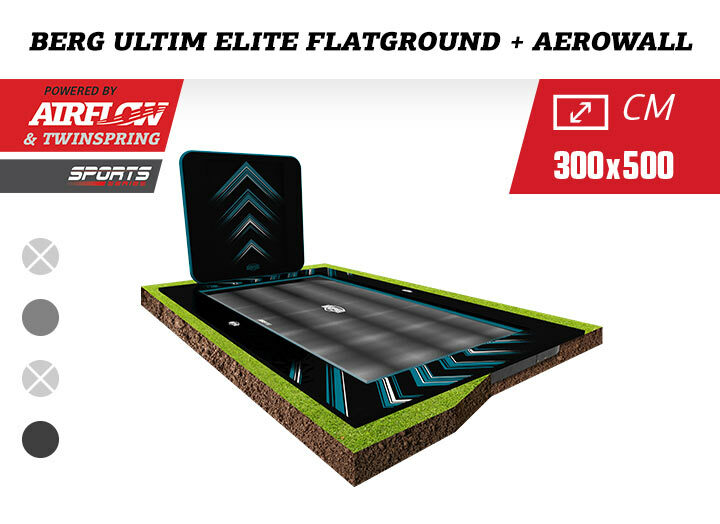 The rectangular box frame of the Ultim Elite FlatGround is high quality and very strong. 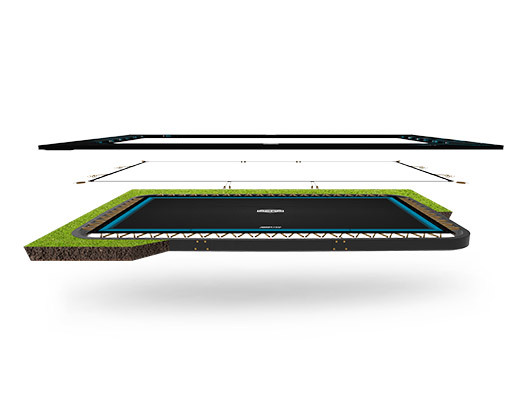 As a result, the trampoline does not move and the trampoline is low in noise. 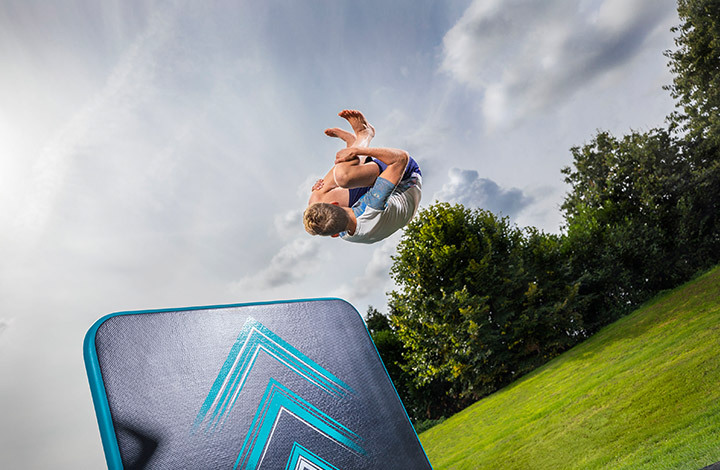 The rectangular, tubular frame of the Ultim Elite FlatGround is very strong and of high quality. 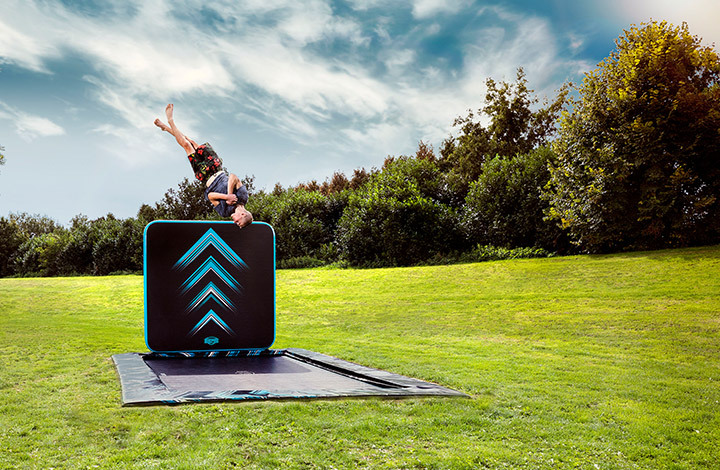 Due to this the trampoline makes no movement and is quiet when in use. The frame is easy to assemble. Which BERG Ultim Elite would you choose?